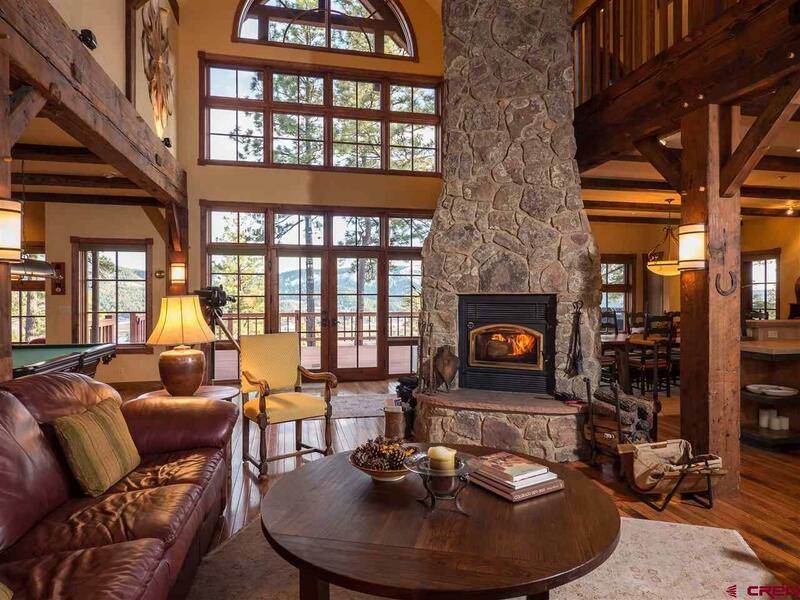 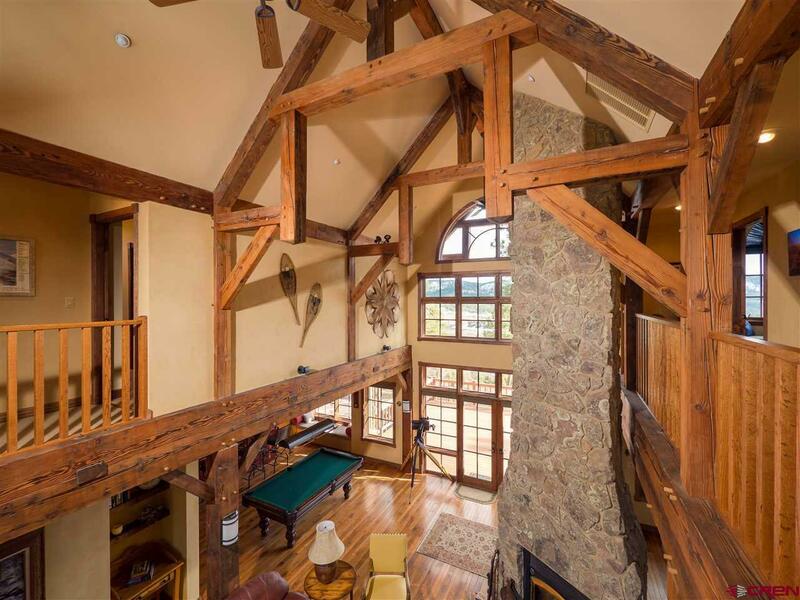 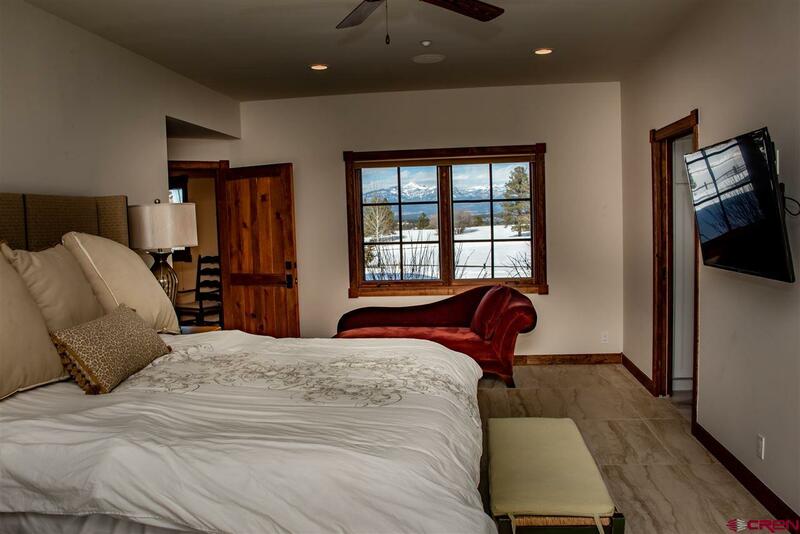 This stunning custom Timber Frame home with stunning San Juan Mtn views lies on 57 beautiful gated acres in Echo Canyon Ranch. 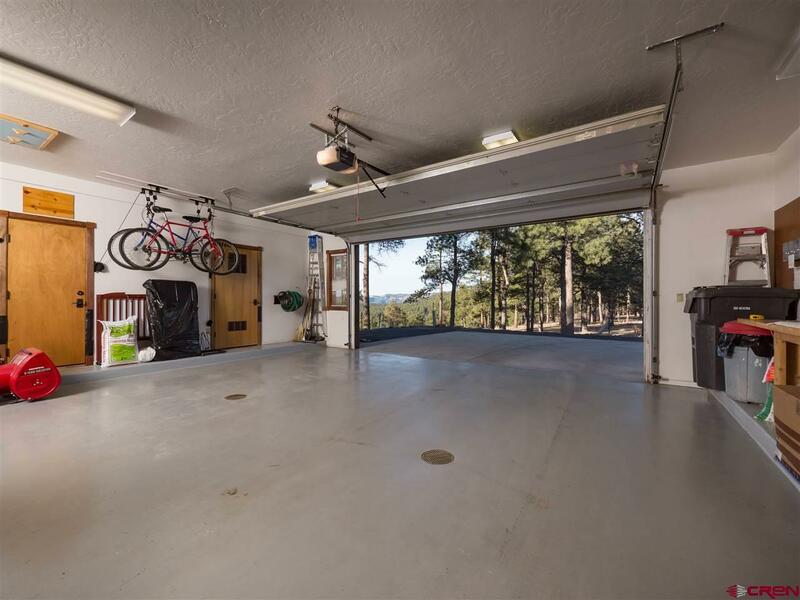 This 4, 286 sq. 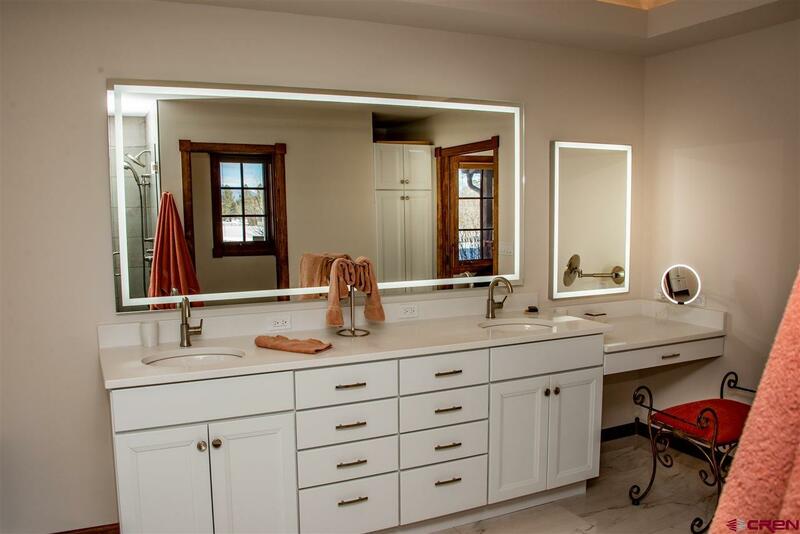 ft. masterpiece offers 4 bedrooms and 3.5 baths, plus 2 private offices. 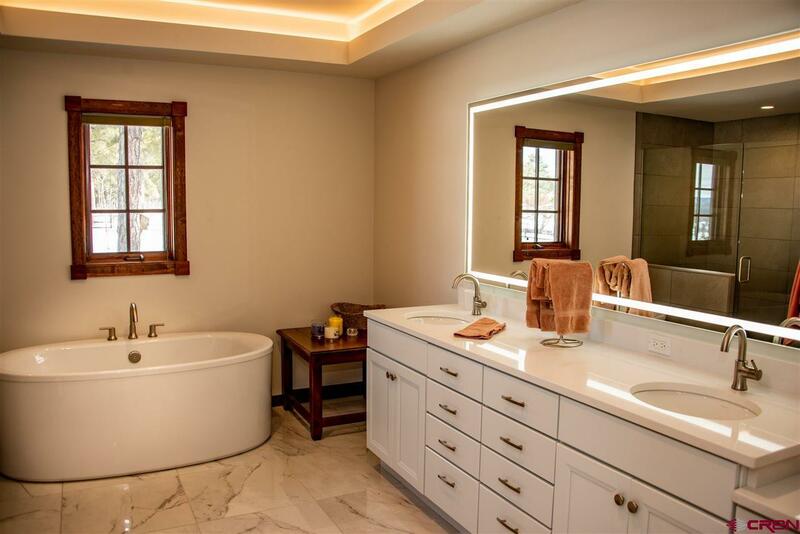 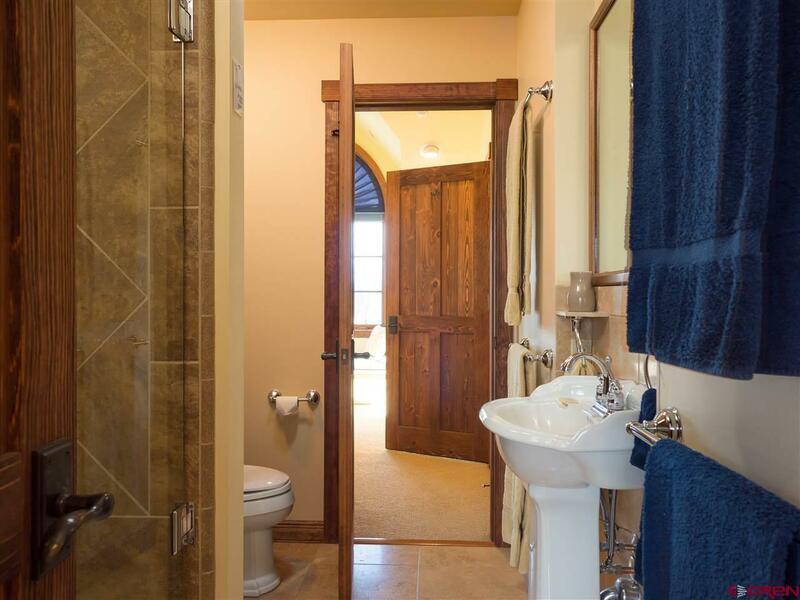 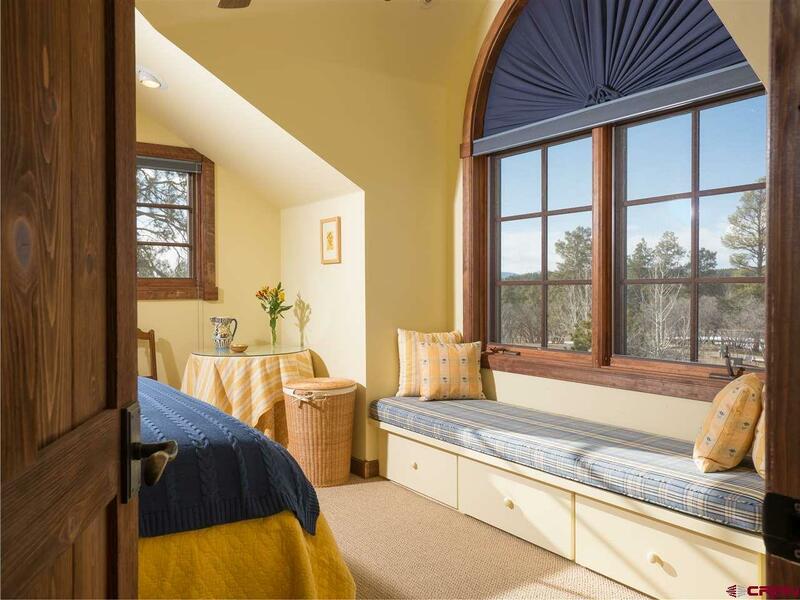 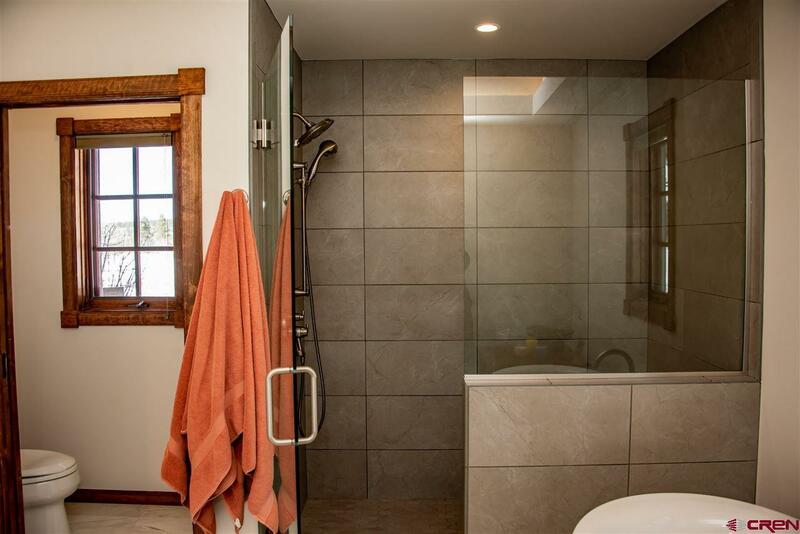 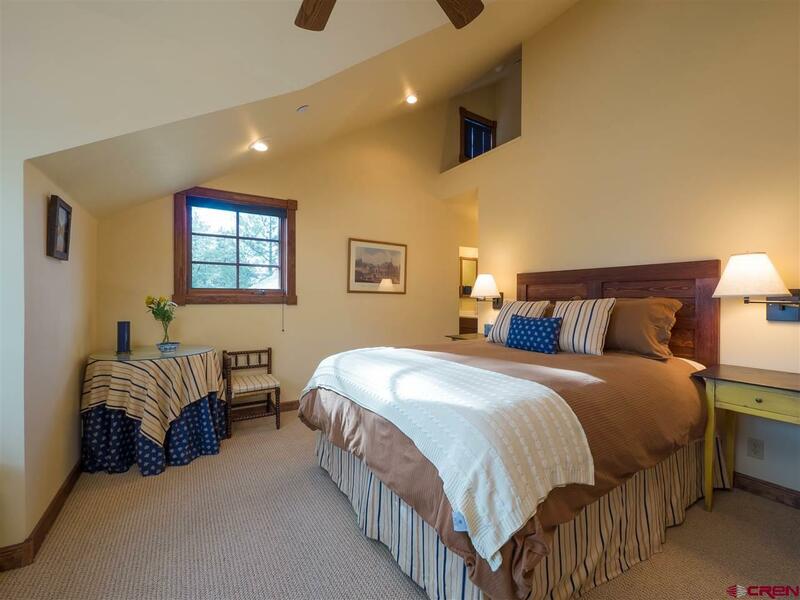 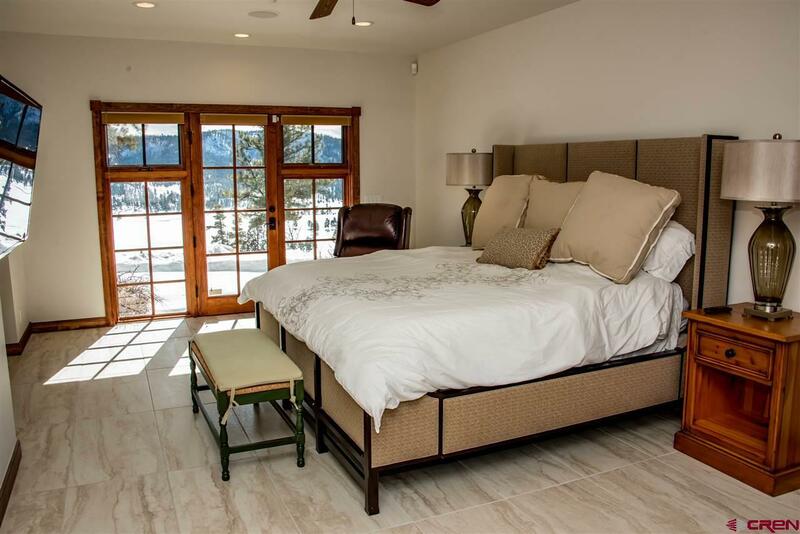 The newly renovated main level master bedroom/bath offers a private seating area, tiled floor, walk-in shower, Kohler soaking tub, large double sink vanity with separate make-up mirror and private french doors leading to exterior Hot Tub and Sauna. 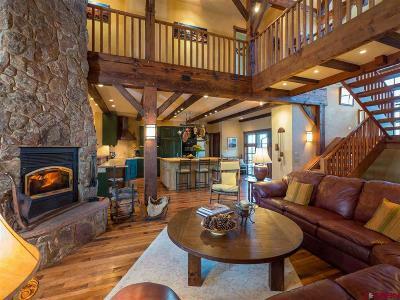 The open floor plan is showcased by hardwood floors and exposed reclaimed 1800's era trusses from an old airplane parts warehouse, while the floor-to-ceiling Moss rock fireplace anchors the Great Room. 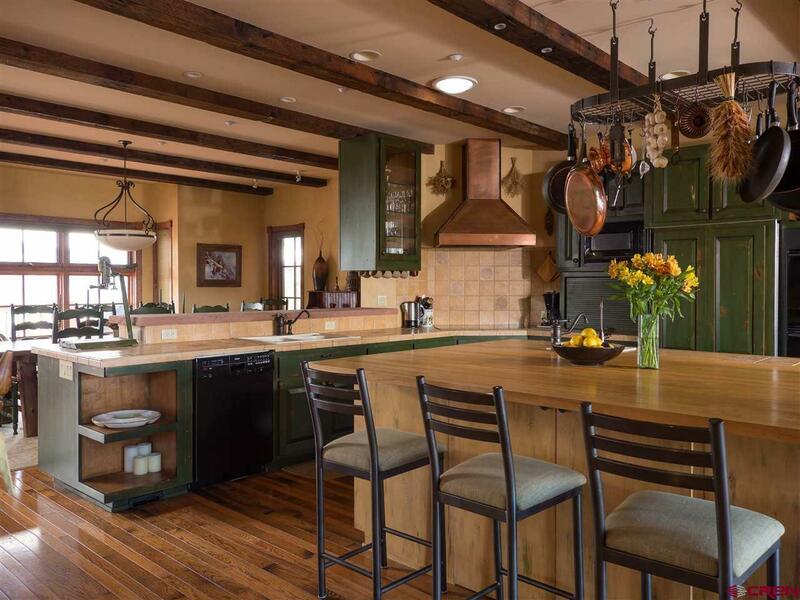 The gourmet kitchen is ideal for a gathering, with a butcher block island and rustic family sized dining table, as is the Copper Top Bar. 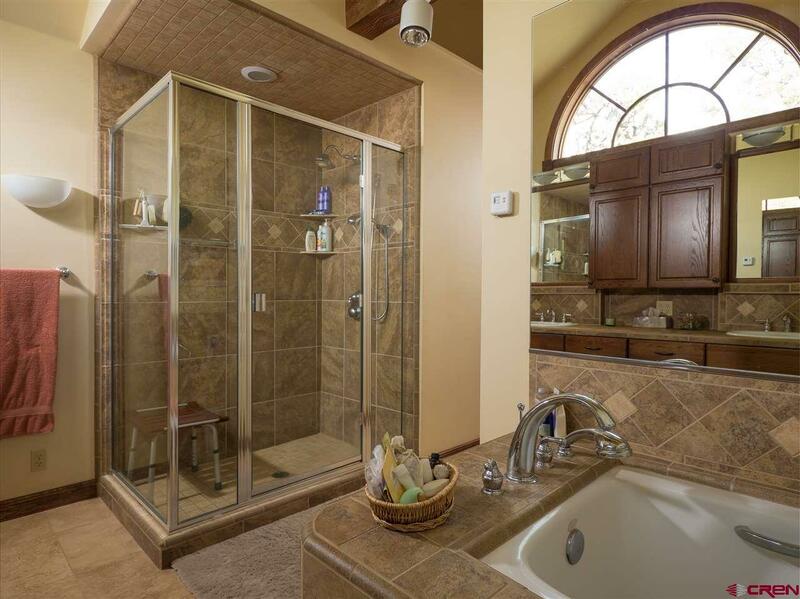 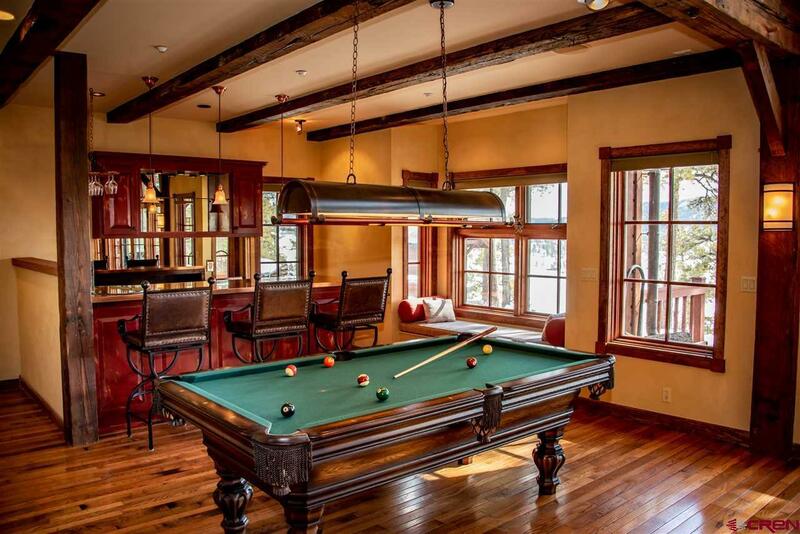 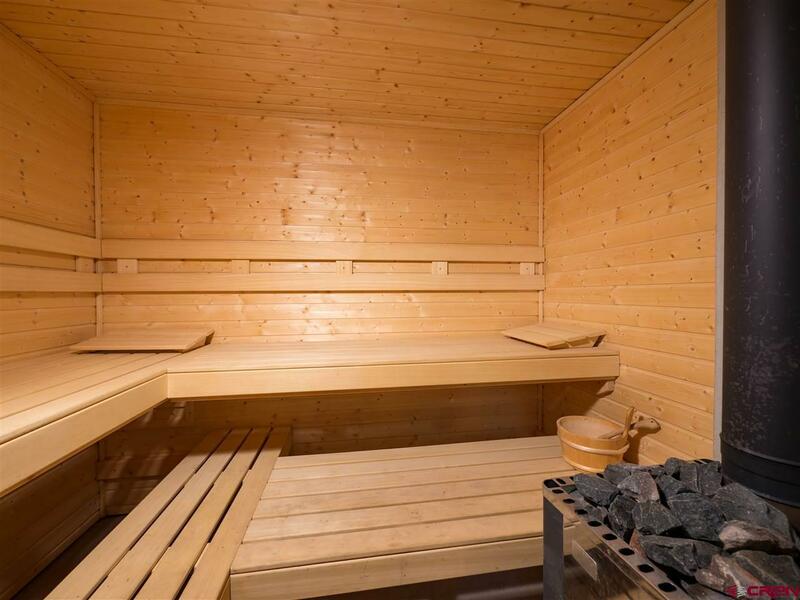 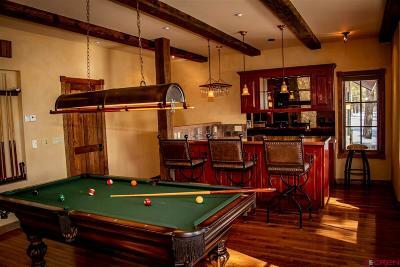 The home also features a climate controlled wine cellar, Sauna, Hot Tub and 8-zone radiant in-floor heat. 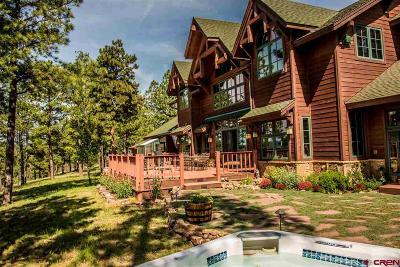 Outside, extensive decking and balconies overlook expansive mountain and valley views, while beautiful landscaping, copper gutters and a Greenhouse all lend to what is truly an idyllic setting. 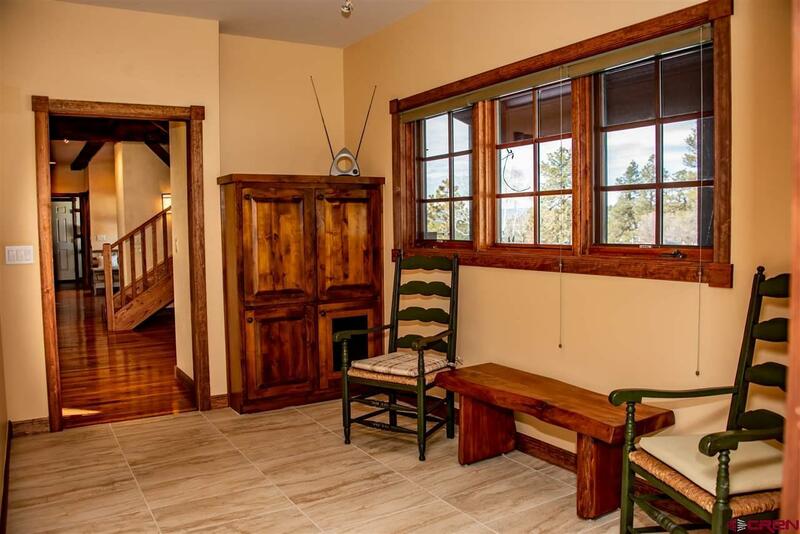 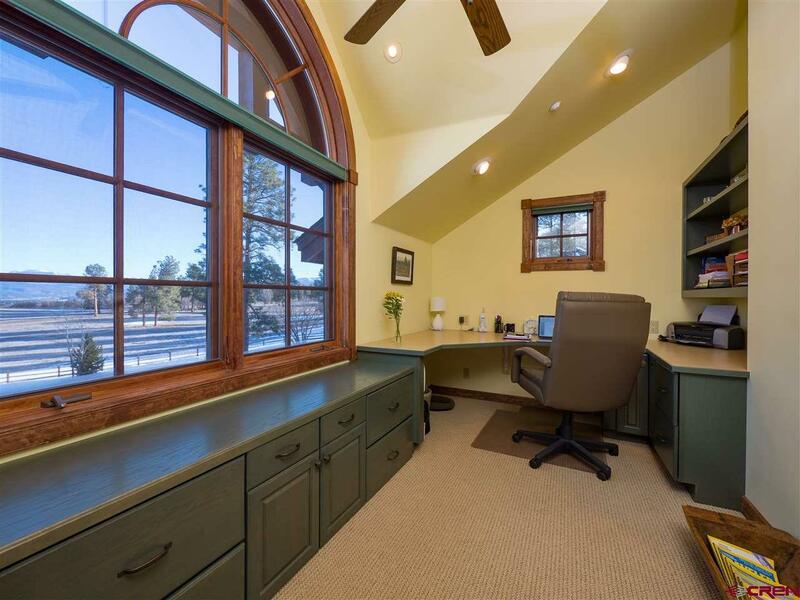 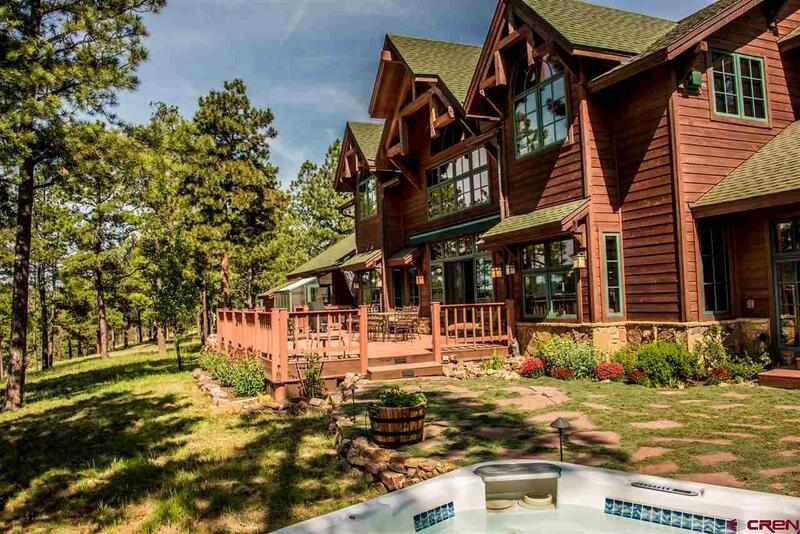 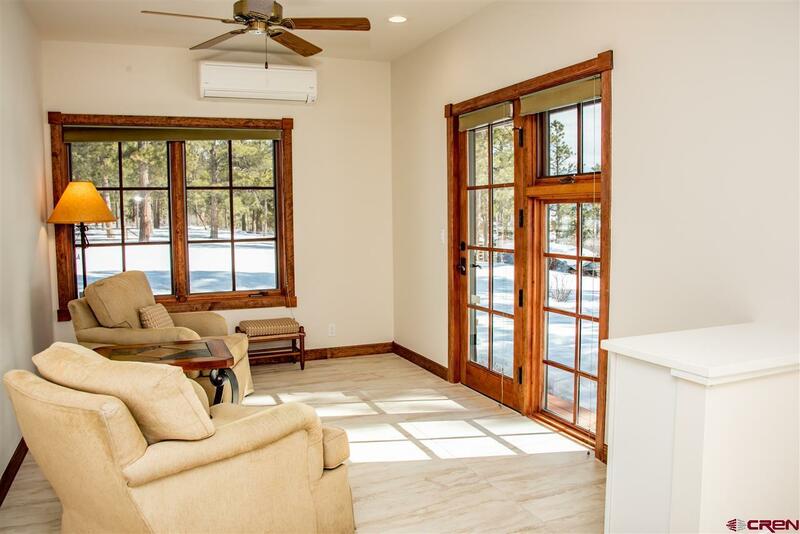 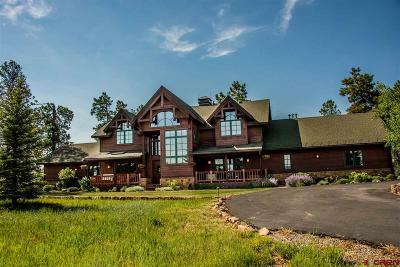 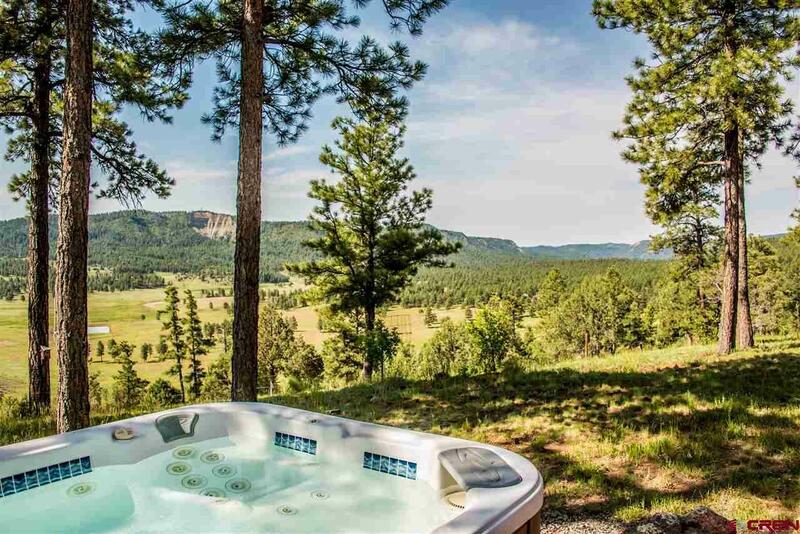 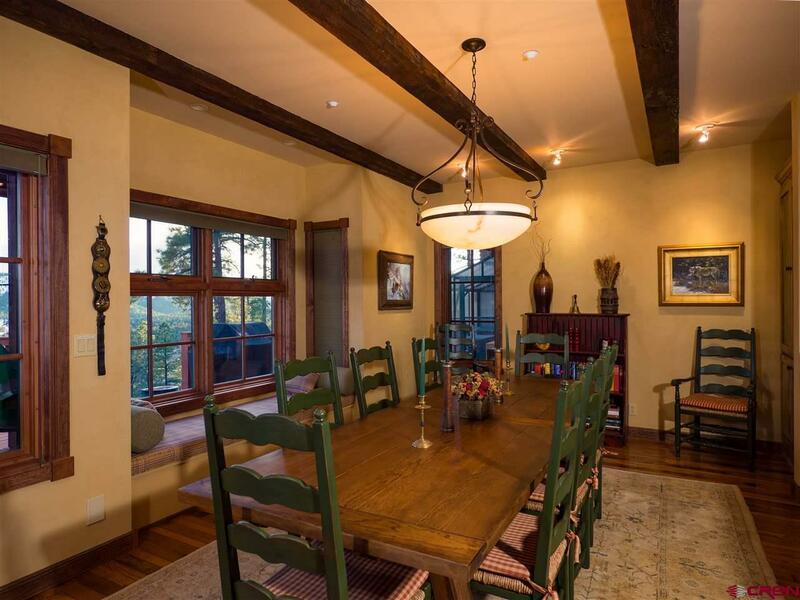 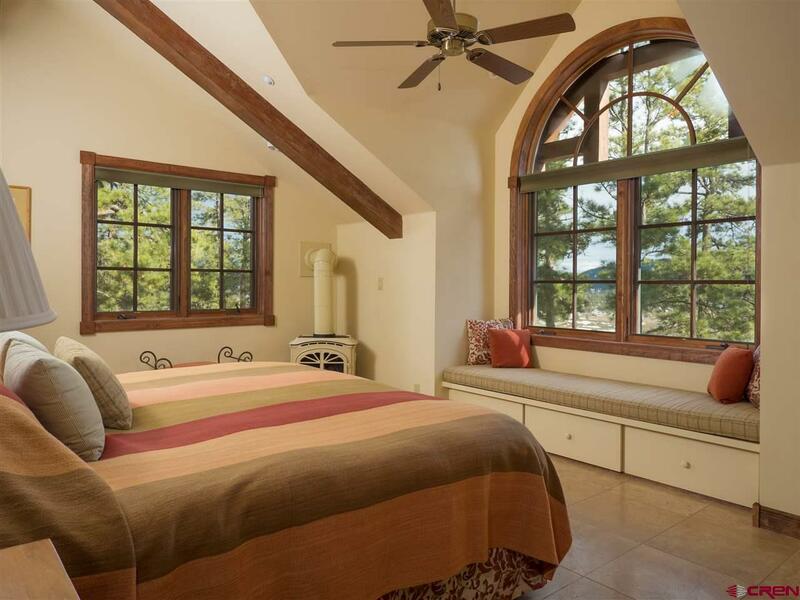 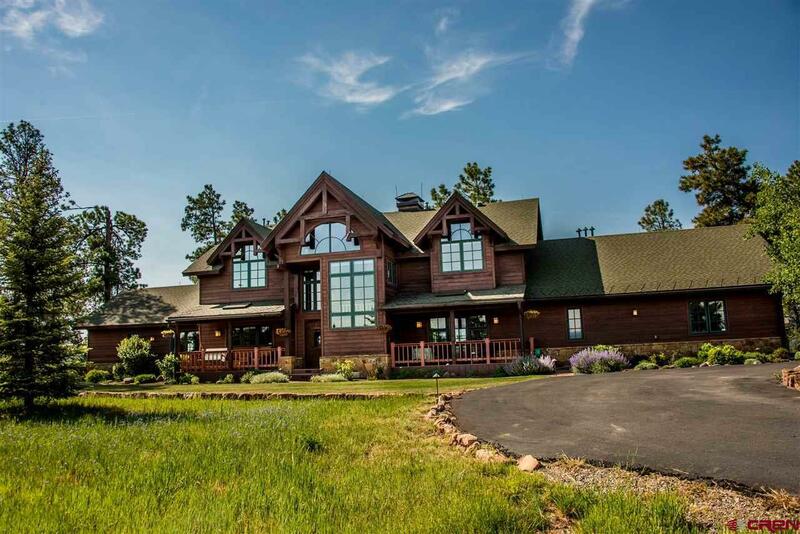 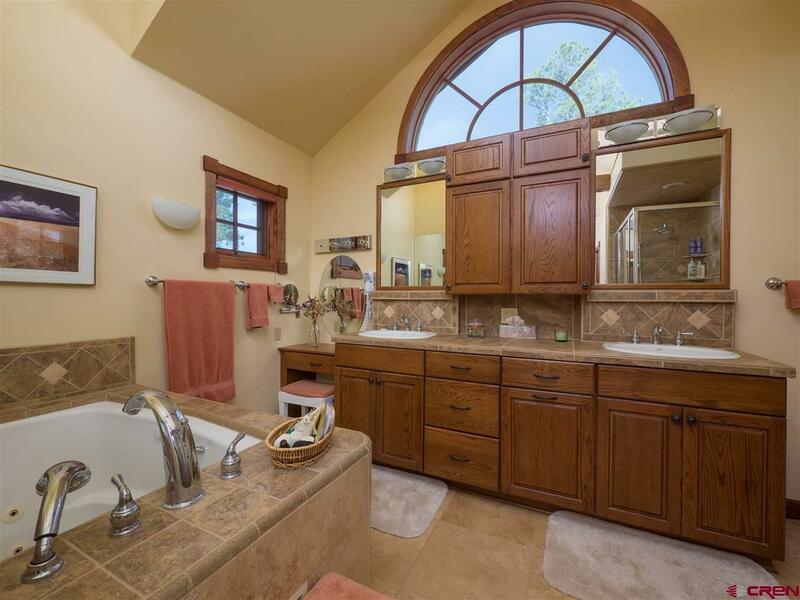 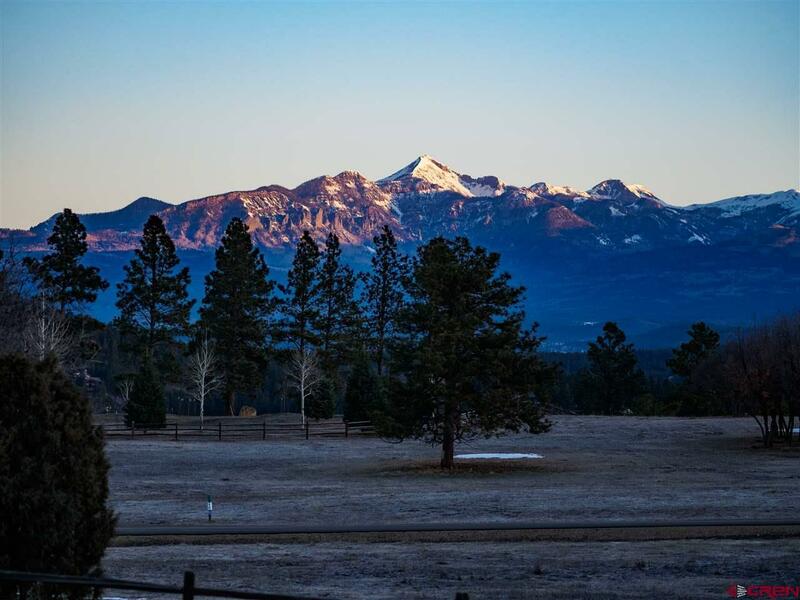 This gorgeous home has a private setting, yet is located only 4.5 miles from downtown Pagosa Springs. 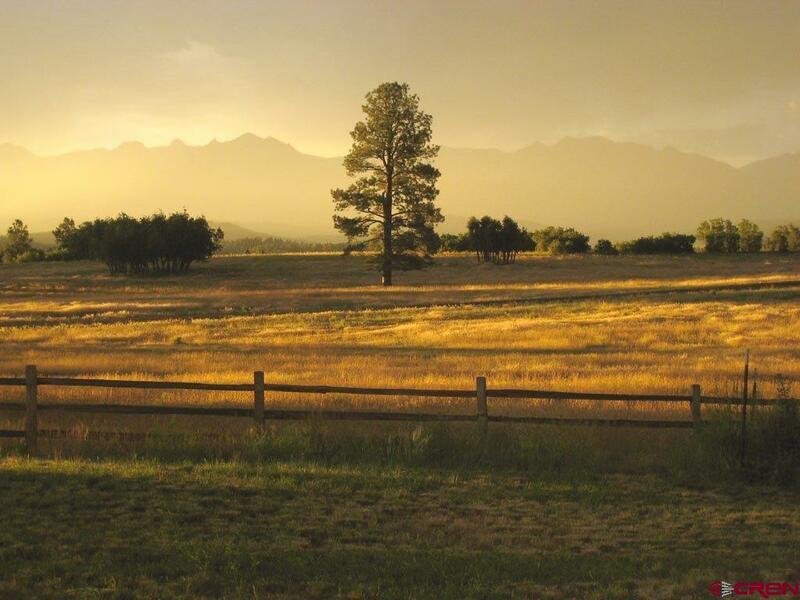 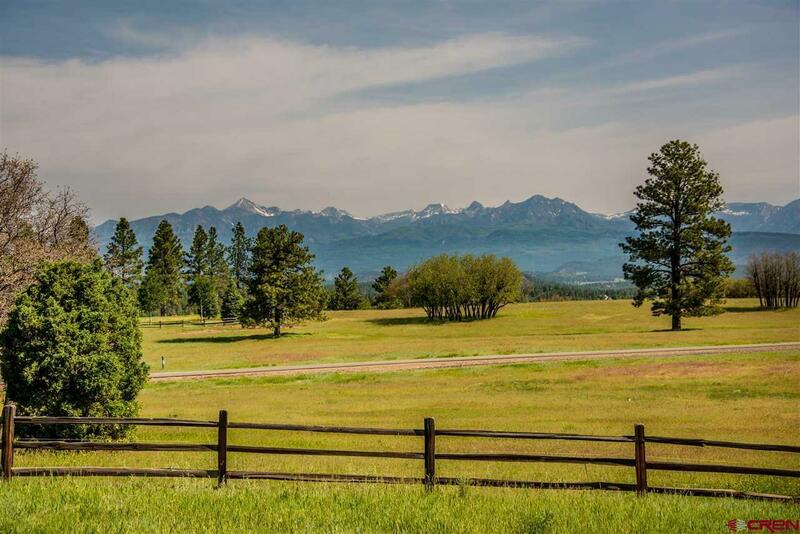 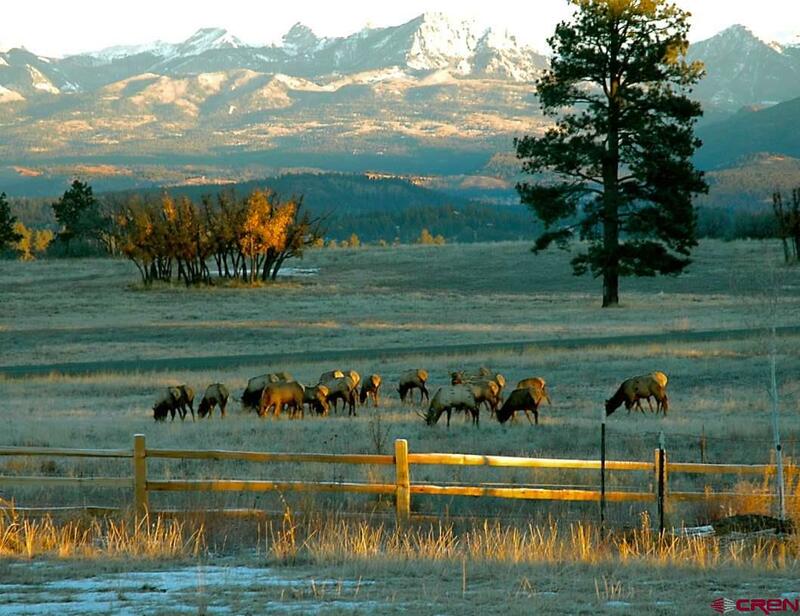 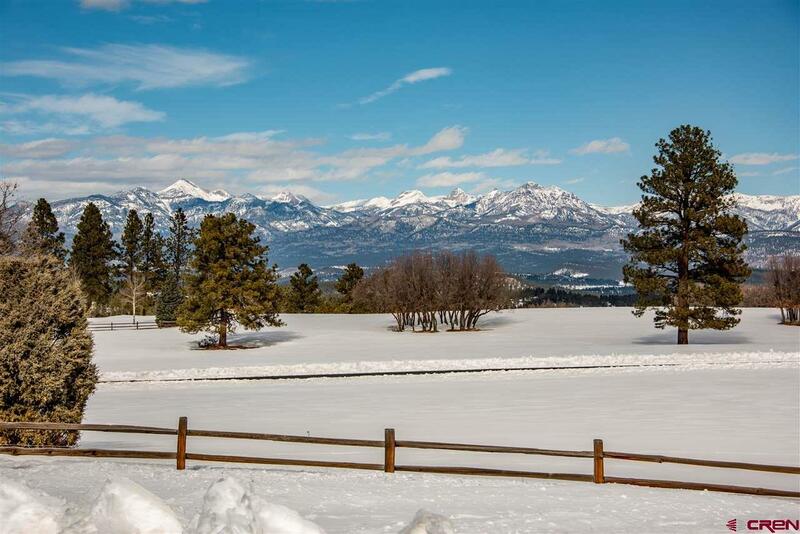 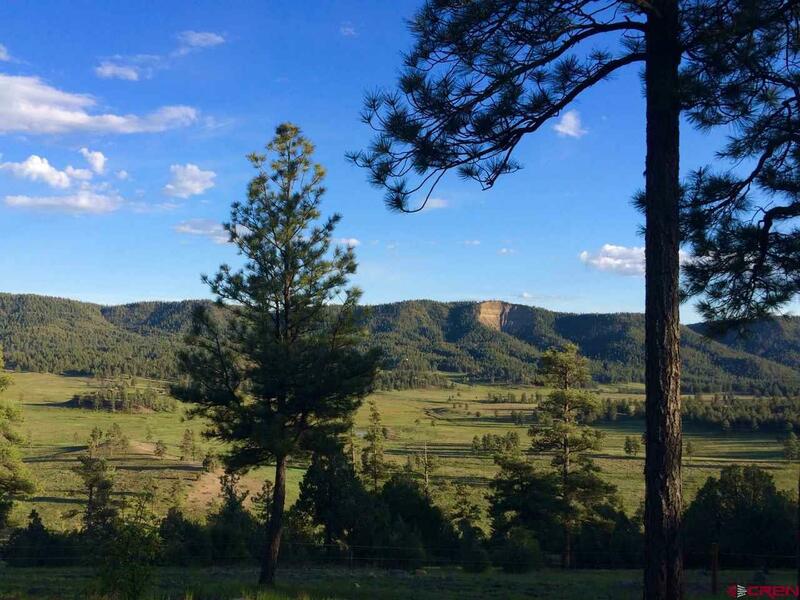 One of the only large acreage communities in Pagosa Springs that offers paved roads! 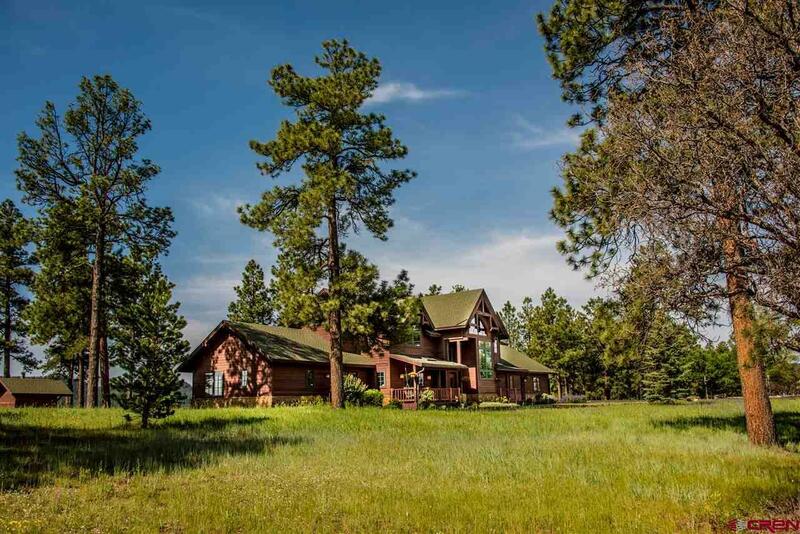 Property allows the ability to build a guest home and barn/shop.